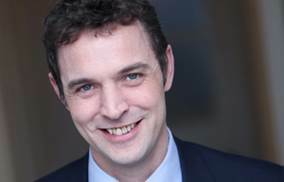 Michael Gupwell, a notary public at Wards Solicitors in Bristol, has been promoted to partner. Michael, pictured, is one of only a handful of lawyers in the Bristol area to hold this important and internationally recognised public office. He joined the firm in 2016 and has seen his notarial work grow substantially since with both private as well as business clients. His role involves authenticating documents for use abroad, dealing with sometimes baffling overseas legal systems on clients’ behalf, and covering everything from foreign estates and property issues to applications to get married in another country as well as international job applications and visas. One of just 800 or so lawyers in England and Wales to hold the position of notary public, Michael is highly experienced in acting for a mix of individual and commercial clients in all aspects of notarial work. This includes advising on the format, execution and legalisation of documents for use in jurisdictions all around the world including powers of attorney, oversees property documents, foreign estates, consents to travel. applications to marry overseas. job applications and visas, criminal records checks, certifying copy documents, verifying company documents, trademark and patent applications, authorities for taking proceedings in foreign jurisdictions, ships’ protests and legalisation of documents. Michael also specialises in a number of key areas of criminal defence including road traffic offences, food safety, hygiene and labelling offences, trading standards prosecutions, council prosecutions, environmental offences and health and safety offences. He also has experience dealing with general criminal offences including violent offences, public order offences, theft, fraud and sexual offences. Wards advises businesses and individuals from its network of 11 offices in Bristol city centre, Yate, Keynsham, Bradley Stoke, Staple Hill, Henleaze, Nailsea, Portishead, Clevedon, Weston-super-Mare and Worle.